I was 21 years old, working at The Athlete’s Foot, and I was reading a book at work. (It was a quiet morning in the shop.) The book was called The One Minute Millionaire and in it was the story of Paul Hartunian, a guy from New Jersey who sold the Brooklyn Bridge. Paul saw an interview on television with the guy who was demolishing the old wooden walkways on the famous Brooklyn Bridge. He contacted this guy and bought the rotting timbers for just $500. Then he printed up 5”X11” certificates, attached a small piece of the original walkway wood and sold them for $14.95. [i] Then he put out a press release, which generated tons of free publicity. Word on the street is this guy made about $2 million! Needless to say, I was excited by this idea and wanted to do it myself. I wracked my brain for an equivalent idea that would be easy to apply in Australia. Then I remembered that the Melbourne Cricket Ground (the Australian equivalent of Yankee Stadium) was under construction. Perfect opportunity! The Ponsford and Olympic Stands and the Members Pavilion were being replaced. With the help of a great friend Bruce Hultgren, we tracked down the name of the company that was doing the demolition and was thrilled to find that they had a lot of the timber from the Ponsford Stand seating and flooring on hand. I was stunned to learn they also had a considerable amount of the world famous MCC Crested Carpet from the members dining room. This was the custom-made carpet that had been trod upon by many great players, including Don Bradman and EJ Whitten. 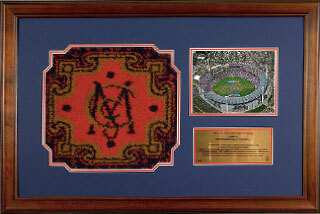 We put together a team of framers to build frames from the wood and create a limited-edition run of framed and matted squares of the MCC Crested Carpet, with the crest beautifully displayed, a photo of the “G” and a plaque that highlighted the history of the grounds and the carpet itself. We also created a version that had a plain mahogany frame, instead of the wood from the Ponsford Stand. Meanwhile I started on the sales side of the equation. I wrote my now famous press release with the headline “21-Year Old Sells the MCG for Under $500.” That garnered the wave of publicity that I was hoping for and kickstarted sales, so we could pay for production costs. This venture was wildly successful and did more than generate money for our team. We decided to donate 10% of each sale to the EJ Whitten Foundation, which supports prostate cancer research. It was a good fit for our audience and let them do some good in the world while getting something they wanted. Years later, I still had the last of the carpet stored in mum’s garage. She reminded me of this every time I visited. The thing was, I’d tried to sell the rest of the carpet before this. I’d contacted a few of Australia’s leading sports memorabilia dealers. They either wanted to pay a pittance for the remaining carpet or sell the frames for over $1,200! As it happens, there are still a few framed pieces of carpet from this limited edition run left. You can find out more here. The truly unique thing about this particular piece of sports memorabilia is that it wasn’t created as a collector’s piece. 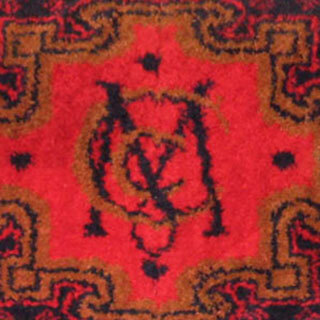 This was the original and authentic carpet that lay in the elegant MCC Members Dining Room in the Ponsford Stand before that area was demolished in 2003. It is a genuine piece of sporting history.